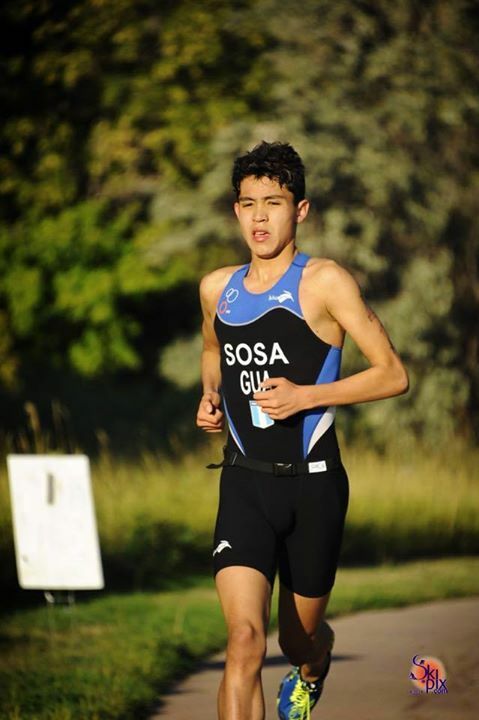 Michael Sosa, triathlète Guatemaltec et participant de l'ISF Porto Rico, sera aussi du voyage pour une seconde édition de l’événement a Paris en mai prochain. 1)Can you introduce yourself ? My name is Michael Sosa I'm 17 years old ,I was born in Guatemala , Central America and Im in my last year of high school . I had been doing triathlon for 4 years and this year will be will be my second year racing as junior. 2)How the ISF triathlon was for you? The ISF Triathlon World cup was one of the best experiences that I have ever had. The competition level was high but it was not an inconvenient for making new friends from all over the world. I learned that language is not a barrier for making new friends. 3)What will you remember about this experience? I will will say mmmmmmm.... EVERYTHING !!! but the closing ceremony and the party after the race was phenomenal !! I can't wait to be in the next ISF World Cup . 4) How do you imagine the next edition ? I feel exited for the next edition of ISF triathlon competition hoping in God I will be prepared for that. I would be in the top 5 or why not win the competition. I'm waiting for a experience that I will never forget.